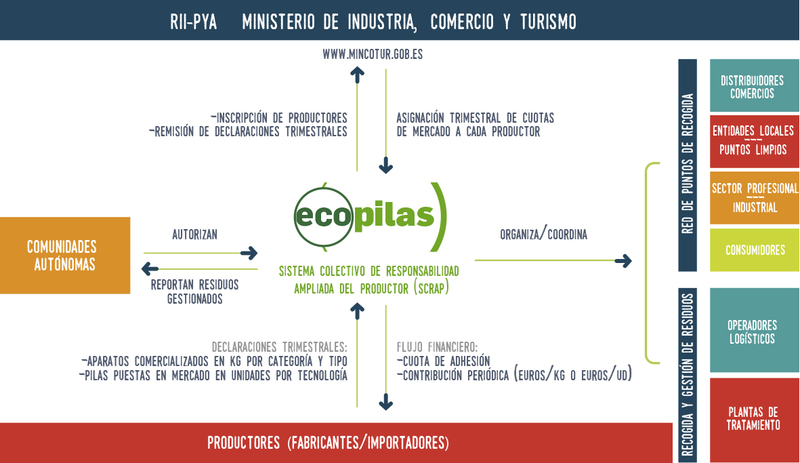 How can you collaborate with Ecopilas? We have seen that the Royal Decree established the obligation of producers of batteries and accumulators to finance the collection and management of their waste, and since then Ecopilas facilitates compliance with their legal obligations, with maximum efficiency and better costs. But not only does this Law affect producers, it also affects distributors, industries, local entities, consumers, etc. 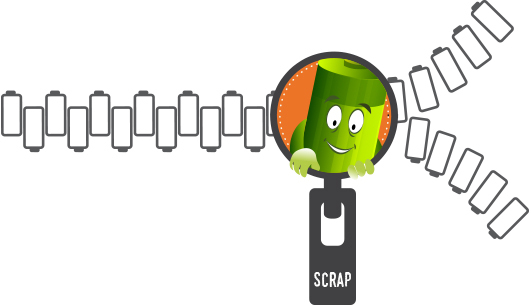 Ecopilas, as a Collective System of Expanded Producer Responsibility (SCRAP in Spanish), offers the necessary mechanisms for waste batteries to reach recycling plants, using at each step the most efficient systems available. But how does the law affect each of the agents involved?